First passed in 1976 to monitor the use of toxic substances in the workplace and their potential introduction into the environment, the Toxic Substances Control Act (TSCA) has set a standard for environmental protection. The objective has been to ensure toxic chemicals are managed effectively, so they do not threaten public health and safety. Children’s health (e.g., potential reproductive/developmental effects). Persistent, bioaccumulative or toxic properties. Use in children’s products/products to which children may be highly exposed. The TSCA has been updated to reflect current conditions demanding attention. In late October (2014), the EPA amended the list of substances on the TSCA Work Plan, by adding to it 23 chemicals requiring further review. These chemicals will be appraised for the existence of hazardous qualities. The chemicals added to the TSCA Work Plan consist of two groups. BCD Nonylphenols/nonylphenol ethoxylates (NP/NPE) - Used in manufacturing lubricating-oil additives, laundry/dish detergents, and emulsifiers, these substances remain in aquatic environments long after introduction, are moderately bioaccumulative, and toxic to aquatic organisms. Bisphenol A (BPA) - A carbon-based synthetic compound found in such common products as plastic containers and credit cards; exposure to BPA has been associated with cancer and diabetes. Decabromodiphenyl ether (decaBDE) - Used as flame retardants in plastics, polymer resins, adhesives/sealants, and coolants, DecaBDE has been linked to thyroid, liver, neurological and reproductive/developmental problems. Hexabromocyclododecane (HBCD) - Another flame retardant, HBCD has been connected to liver, brain, metabolic,and elimination problems in children. Seven phthalates - (dibutyl phthalate (DBP), butyl benzyl phthalate (BBP), di-(2- ethylhexyl) phthalate (DEHP), di-n-octyl phthalate (DnOP), di-isononyl phthalate (DINP), di-isodecyl phthalate (DIDP), and di-isobutyl phthalate (DIBP) - used in plastic products; associated with childhood health risks, breast cancer and endocrine disruption. Barium carbonate, CAS No. 513-77-9, used producing bricks, ceramics, electrodes, paper, and specialized-glass; prolonged exposure can cause cardiac arrhythmias, kidney damage, paralysis, respiratory failure, and death. Dimethylaminoethanol, CAS No. 108-01-0, used for corrosion-inhibitors, dye-stuffs, pharmaceuticals, and other compounds; linked to asthma-like allergies, headache, irritations of eyes/nose/skin/throat, and pulmonary edema. Dicyclohexyl phthalate, CAS No. 84-61-7, used in paper products and plastics; demonstrates carcenogenic properties, linked to endocrine, liver, and metabolic problems. 4,4'-(1-methylethylidene)bis[2,6-dibromophenol], applied to electronic enclosures and epoxy-resin circuit boards; indications of liver and respiratory toxicity reported. Isopropylated phenol/phosphate (iPTPP), is a flame-retardant linked to adrenal, biomotor and liver problems. Molybdenum/molybdenum compounds, are used for metal alloys; ingestion can be toxic, causing nasal/lung irritation, as well as eye/skin problems. 1,3-butadiene, CAS No. 106-99-0, used in the production of latex paints, plastics, rocket fuels, and other compounds, exhibits chemical instability, high flammability, eye/nasal irritation and freezing, anesthetic effects on skin. Pentachlorothio-phenol, CAS No. 133-49-3, used to treat rubber, is recognized as a mild eye irritant. 3,3'-dichlorobenzidine, CAS No. 91-94-1, used in dye-making, is a probable human carcinogen and pollutant dangerous to drinking water and aquatic life. Triphenyl phosphate (TPP) is a fire retardant, also used in children's products and printed-wire boards; this combustible solid is toxic to aquatic life and may also be to humans at high levels. 2,5-furandione, CAS No. 108-31-6, used for adhesives, floor polishes, personal-care products, and other compounds, causes dizziness, headache, nausea, and vomiting. 2-hydroxy-4-(octyloxy)benzophenone, used in food-packaging, plastic and rubber products, stimulates allergic and photoallergic contact dermatitis in occupational settings. While the 23 chemicals newly added to the Work Plan have not yet been judged in need of further regulation, they demonstrate considerable potential for exposure and hazard, and may be subject to risk-reduction actions. Chemicals whose analysis indicates toxicity are subjected to risk management and regulation to control their use. However, suggestion of probable or impending hazard to public safety does not mean the substances will be subjected to further regulation. 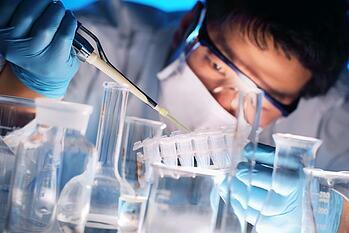 TSCA evaluation determines if such action is necessary. This is not always the case; chemicals reviewed as non-toxic may be monitored for possible future regulation if any new applications suggest the possibility of producing hazardous waste, but otherwise their use is not restricted. TSCA Work Plan evaluations not only determine if chemicals require specialized oversight and control of their use; they can also establish the suitability of substances previously judged unsafe. In this respect, the EPA recently removed 15 chemicals and groups of chemicals from the Toxic Substances Control Act Work Plan list.